No, I’m not just writing here to list all the things great about the Boston Red Sox, but if I were to write that list, it would be a tie for the absolute best thing to ever happen to the Sox. That tie would be held by Jason Varitek, former Captain, Tek ran those games from the plate, he watched video after video of opponents and their batting habits, quirks and strengths. There is a fantastic poem written in honor of the one and only Jason Varitek, here. Now to talk about the other half of that tie, we have to go to #9 himself, Ted Williams, ‘The Kid’, ‘Teddy Ballgame’ and most notable the ‘Splendid Splinter’. This was during the golden age of baseball. Mickey Mantle, Babe Ruth, Bobby Doerr, Yogi Berra, Jackie Robinson and Stan Musial. Williams played with the Red Sox from 1939 to 1960 with two rather notable breaks in between. ‘The greatest hitter who ever lived’ took himself out of some prime years of baseball to serve in our nation’s military. That’s right, in 1943 after becoming one of the biggest names in baseball to watch, he took a break from baseball to serve three years in the US Navy and Marine Corps for World War II. 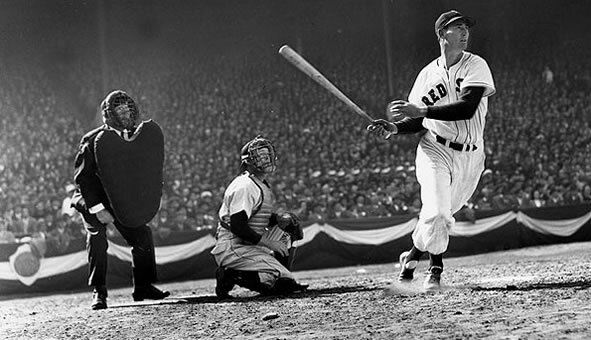 Teddy came back to the MLB and Boston had it’s arms open for him in 1946. In that year he won his first AL MVP Award and played in his only career world series. The following season he won his second Triple Crown. He broke from the Red Sox during a stellar year, to perform a duty for the country once again when he returned to active military duty for portions of the 1952 and 1953 seasons in the Korean War. He served as a Marine aviator. In 1957 and 1958, the 40 year old slugger was the AL batting champion for the fifth and sixth times. On November 18, 1991 President George H.W. Bush presented Williams with the Presidential Medal of Freedom, the highest civilian award in the US. 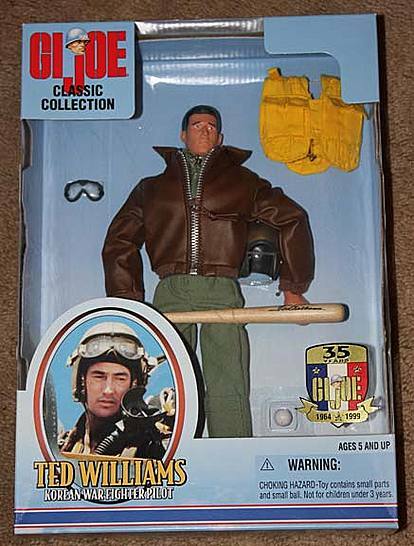 One of the cooler of his accolades is the fact that he is the only MLB player to EVER have a GI Joe modeled after him. 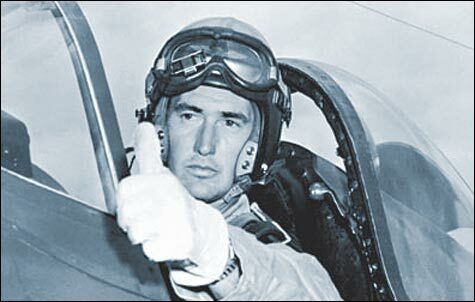 In Korea, Ted Williams flew as wing man for future astronaut John Glenn. I’m telling you, Williams could do it all. 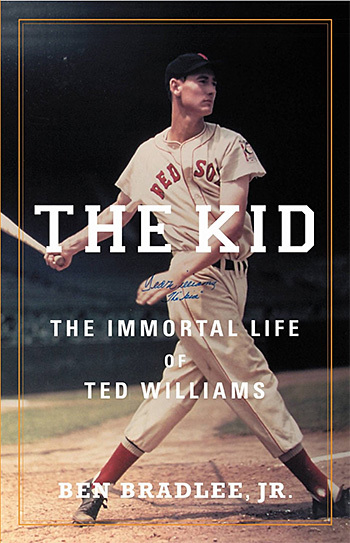 Atmosphere Entertainment’s Mark Canton (‘300‘ and ‘Immortals‘) teams up with Mandalay Sports Media’s Mike Tollin (‘Coach Carter‘ and ‘Smallville‘) and Peter Guber (‘Rainman‘, ‘The Color Purple‘) to option the Ben Bradlee Jr book ‘The Kid: The Immortal Life of Ted Williams‘. This would make the third of Bradlee’s novels to be optioned to some kind of film treatment. He also wrote, ‘Guts and Glory: The Rise and Fall of Oliver North‘ and ‘The Ambush Murders‘ that were turned into TV movies in the 80’s. Their plan is to turn the web of life Williams lived into a miniseries. So far this project doesn’t have a writer, so we don’t know which network will pick this one up, yet. Canton, Tollin and Guber plan to executive produce with David Hopwood (‘Immortals‘ and ‘Piranha 3D‘ acting as producer. Williams’ exploits were legend and he was a hero, either using and airplane, or using a bat. He was also as ornery as enigmatic and really wasn’t all that approachable for his fans. He was bigger than life and sometimes that came with a bigger than life personality and it didn’t quite agree with everyone, as plenty of fans, the media and several wives would attest to. He had big plans in his life and one was to become ‘The Best Hitter Ever‘. 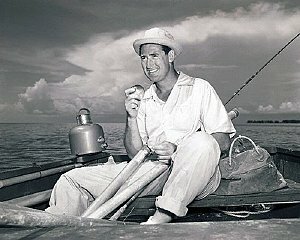 The women learned quickly they took a back seat to his 2 first loves: baseball and fishing. 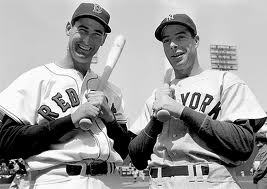 He had a long rivalry, as is traditional, with the Yankees and outfielder Joe DiMaggio. This piece will cover the successes and triumphs that filled Williams’ life. I’m sure there will be plenty of focus on his accolades he achieved while part of the Red Sox, and his years (approximately 5 seasons ) away from his team as war-time hero. The mini will not discuss any of the ugly indignities that followed Williams’ death, when his remains were sent to a cryogenic facility. “We plan to focus on his amazing life, not his death,” Tollin said. Bradlee spent a good 10 years writing the book. Tollin was able to actually meet Williams as part of his first job on ‘Greatest Sports Legends‘. The series won’t exactly be hero worship, we’ll see what could have given him such a hard time building personal relationships. On the flip side of the Williams coin, is an over-sized sense of generosity he inherited from his mother that prompted him to being a very big booster of the Jimmy Fund and Salvation Army. If this story feels like the perspective isn’t an unbiased one, then you are correct. Ted Williams is one of the most amazing players to have ever swung a bat.The Tampa Bay Rays home field, ‘Tropicana Field‘, installed the ‘Ted Williams Museum‘ behind the left field fence. From the Rays’ website: “The Ted Williams Museum and Hitters Hall of Fame brings a special element to the Tropicana Field. Fans can view an array of different artifacts and pictures of the ‘Greatest hitter that ever lived’. These memorable displays range from Ted Williams’ days in the military through his professional playing career. This museum is dedicated to some of the greatest players to ever ‘lace’em up’, including Willie Mays, Joe DiMaggio, Mickey Mantle and Roger Maris. I happen to have played ball at the ballpark in Baxter Springs, KS where Mickey Mantle originally signed with the Yankees and I just happen to be heading to Tampa this October. Guess where this baseball girl is definitely going? This entry was posted on Tuesday, July 15th, 2014 at 8:37 pm	and is filed under Books, News, Television. You can follow any responses to this entry through the RSS 2.0 feed. You can skip to the end and leave a response. Pinging is currently not allowed. « Film Review: ‘Dawn of the Planet of the Apes’! !